Eric is a veteran in marketing with over 18 years’ experience covering various aspects marketing including brand building, strategic planning, traditional media, digital and social media, CRM, and eCommerce. He started his career in 1998 as a management trainee in marketing at British American Tobacco in China. In 2000, he began his adventure in New Zealand, where he worked for two top New Zealand companies in retail industry. He managed the biggest customer database in New Zealand and was responsible for customer segmentation of a campaign that won top direct marketing award of New Zealand in 2005. He implemented CRM system and email marketing automation for the No. 1 kids wear company in New Zealand – Pumpkin Patch and was the keynote speaker at a New Zealand Post sponsored conference on driving business growth by unleashing the power of data. He was also a keynote speaker at a conference sponsored by Microsoft on driving business growth using Microsoft Dynamics CRM. In 2009, he moved to Shanghai with his family. Since then, he has been holding director level roles at bluechip companies in China. 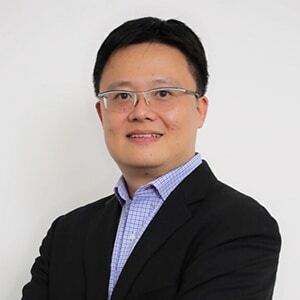 As the head of marketing for the biggest hotel chain in China – Homeinns, he built digital and eCommerce team from scratch and increased their online sales by 10% within a year. His effort in brand building resulted in Homeinns becoming the No. 1 hotel brand in China in 2010. In 2012, he was headhunted by Abbott, the world leader in healthcare industry. Between 2012 and 2014, he was the Interactive Director for Abbott’s infant nutrition business in charge of digital, CRM and eCommerce. His effort in integrated programs of digital, social and CRM put Abbott in No. 1 position in terms of online word of mouth in 2014. His effort in eCommerce helped Abbott achieve online sales growth of 103% in 2013 and 64% in 2014. Since 2014, he was the Marketing Director responsible for Abbott’s corporate branding in China. He relaunched Abbott brand via online and offline campaigns, and increased Abbott brand awareness and company reputation. In 2016, Abbott achieved No. 1 position in company reputation among all healthcare companies in China.